Wedding Favors Wine Stopper Personalized - Wine Cork Stopper Laser Engraved. 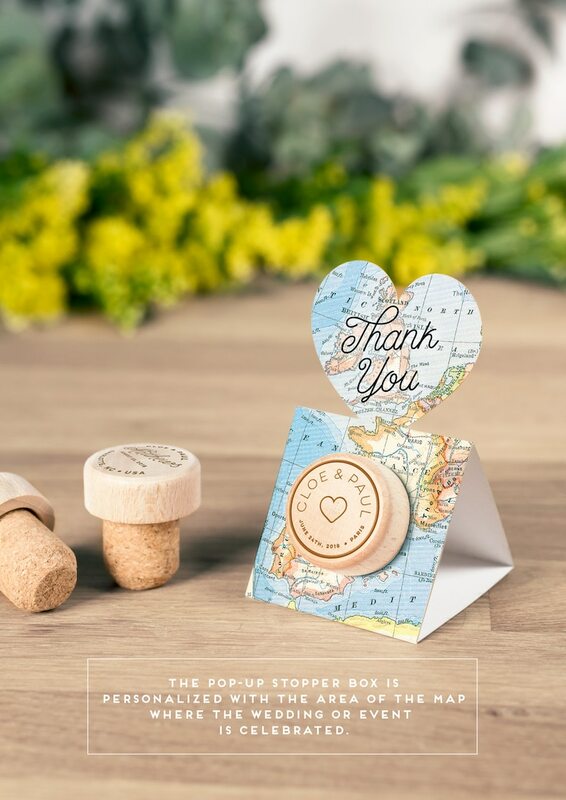 This stopper it also includes an original Pop-up Stopper Box, which makes it the perfect gift in any celebration. This item it’s HassoStudio Original Design. 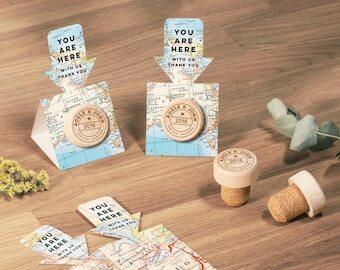 The support once deployed becomes a nice book point, which will remind the guests of your unforgettable event. You can choose one of the designs shown in this ad, and we will engraved it in laser on the stopper. Choose the number of the design and the support on the menu. • FREE tracking info is available upon request ALL customers. • Please note your order will be shipped to your ETSY address. If you have a different shipping address, please include that information in the “Note to Seller” section during check out. • Please note the phone number is necessary. ♥ Thanks for visit our shop! All images, designs, and text are copyrighted. 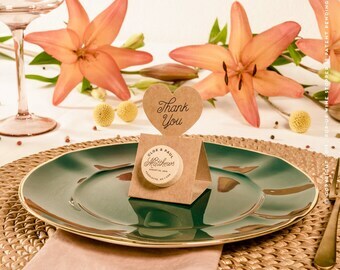 I absolutely love these wedding favors!! Anabel and Felix were very easy to work with - great customer service! Shipping was fast and the favors were packaged with care. I would highly recommend to anyone who is looking for a fun and unique favor idea. Such a unique presentation for a wine bottle stopper! Fantastic communication, design and packaging/shipping. Thank you! We want our customers to be completely satisfied and we take pride in having happy customers! If you receive a damaged order or there is any problem during shipment, contact us to solve the problem as soon as possible. Please convo us before leaving your review and we will try to work things out the best way possible. Thank you for taking the time to read our policies! We start to prepare the order, after confirmation of payment by Etsy. Once an order is placed (and paid), in the next 24/48h we send the proof of your order. If the order includes a custom design (change the original color of the skyline, making a skyline not available in the store, ...) the proof may take 2/3 days to prepare. We always send the proof by Etsy conversation, and until the customer does not give us the OK, we can not ship. Therefore it is important to respond to the proof, so it can be sent earlier. When we have the customer Okay, print and send the canvas in the following 1-3 days. We ship worldwide with tracked shipment and we will send you a message with the tracking number of your order. Shipments are made via DHL and delivery time can takes about: 1-2 days for Spain, 1-3 days for Europe, 3-4 days for USA/CANADA and 4/5 days to Australia other countries. IMPORTANT! If you only purchase our PENS, this are shipped with Correos -Spanish Postal Service - delivery time can take 2-3 weeks . After sending the order, it took to receive the tracking number 24h. We mark it as sent with the number of provisional booking until we get the number of DHL. Please be patience, because we can not do anything to speed it up. Please note the phone number is necessary. If you need the item to be shipped in a faster way, please convo us before placing your order, to make it happen if it's possible. If you don’t specify anything different we will ship to your Etsy address. Customers will assume financial responsibility in case of incorrect address. All our items are well packaged to ensure their safety during shipping. We always answer all inquiries as soon as possible, but over the weekend we can take longer than usual. How long does it take to send the order? When you place your order, you receive proof of your design. Once the proof it's ready to print, we prepare and send in the coming 48h. The estimated shipping time to US and Canada it's 3/4 days, to Europe it's 2/3 days and everywhere else takes 5/6 days. All our delivery are made with DHL and have a tracking number. IMPORTANT! If you only purchase our PENS, this are shipped with Correos -Spanish Postal Service - delivery time can take 2-3 weeks. When I will receive my proof after the purchade? After placing your order, we will send you the proof in the next 24h, weekends can take up to 48h. How can I customize the item? All our items are personalized. Please see the Item Details tab for what can be personalized. You can purchase the item and include your personalization instructions under the "notes to seller" box at checkout. What is Pop-up Stopper Box? The Pop-up Stopper Box is the support on which the wine stopper is presented. Pop-up allows you to present the gift in an original way. It is available in various colors, shapes and in different messages. To receive your order of stoppers with the Pop-up Stopper Box you must choose this option during your purchase: (00 Stoppers + Box). If you only want to receive just the stoppers, you must choose the option without Pop-up: (00 Stoppers - No Box).